In the past month the lock on our front door jammed a few times to the point where we could not open it and had to get creative on how to break-in to our own house. The last time it happened the caretaker's 5 year old son crawled through a semi open window to unlock the door from the inside. 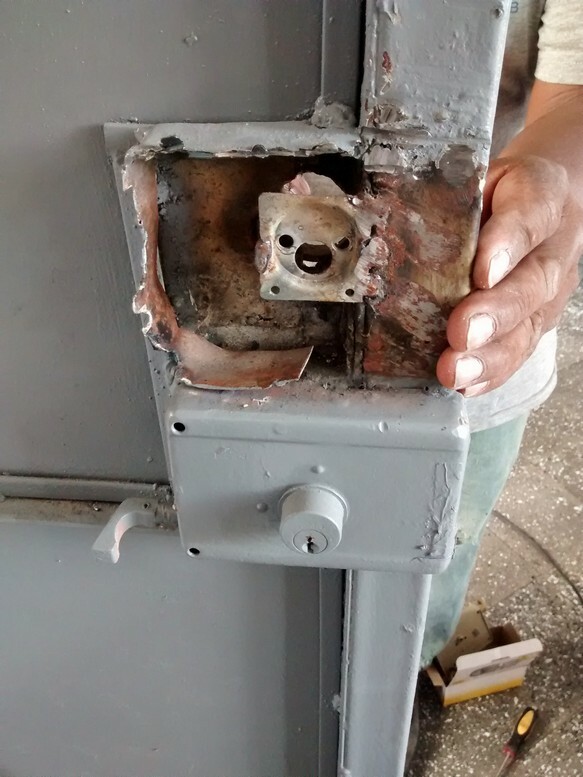 I walked in the front door after a market run to find a worker using a grinder to remove the entire lock casing which had been welded on. The spot where the lock once was. Since the lock was previously welded on, the new one needed to be. NOTE: the lack of eye protection while welding. He was actually shutting his eyes while doing it. It's just how they roll here. The finished product (on top). The entire job took about 30 minutes (this included painting the new lock casing and sweeping my floor). Pretty impressive. Side note on locks here, they are almost always "double throw" locks which means that to fully lock or unlock them you turn the key two and half times. 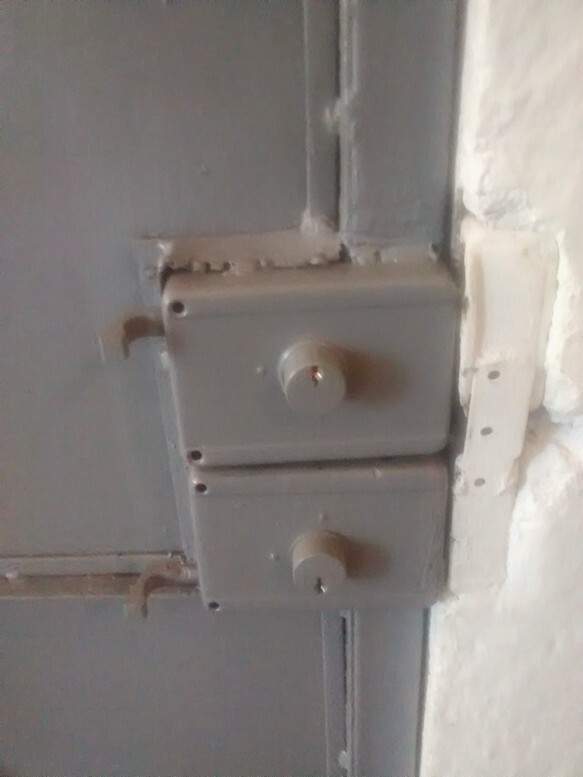 This not only extends the dead bolt farther, hence making it stronger, but also makes the lock a lot harder to pick.